lower left on backing sheet in pen and brown ink: 44 (corrected to 54); lower right on backing sheet in graphite:S.R. (sale, Christie's, London, 6 July 1976, no. 52); acquired by NGA. 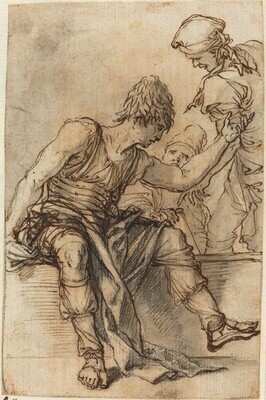 Wallace, Richard W. Salvator Rosa in America. Wellesley, MA, 1979 48.